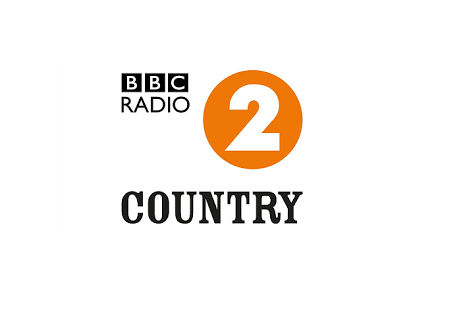 UPDATE | BBC Radio 2 is to bring back its country music pop-up station for a third year, coinciding with the annual Country2Country festival in March. From Thursday 9th March 2017 through to Sunday 12th March 2017, BBC Radio 2 Country will be available on DAB digital radio, via the BBC's national DAB multiplex, as well as via online and mobile platforms, such as BBC iPlayer Radio. It will be the pop-up station's third outing in as many years following successful broadcasts in 2015 and 2016. During the four day period, Radio 2 presenters including Bob Harris will be presenting special shows for the pop-up station. Bob Harris will kick-off proceedings on the 9th at noon, with Welcome To BBC Radio 2 Country - in which Radio 2’s face and voice of country music previews what listeners can expect to hear across the service. Country music specialist Baylen Leonard then takes a look at what the C2C festival has lined up in Celebrating C2C. Highlights in the BBC Radio 2 Country schedule include Alison Krauss: Bluegrass And Beyond, in which the multi-Grammy Award winner chooses an hour of her favourite tracks, and Country Pickers, which sees singer-songwriter Marty Stuart pay tribute to country’s greatest musicians. There will be a celebration of the original mavericks and outlaws of country music in Patrick Kielty’s Country Outlaws, and a look at the sometimes surprising links between country music and soul, R&B and reggae with Trevor Nelson in When Country Meets Soul. In Chris Country on Radio 2, Radio 2 Country welcomes Chris Stevens to the service - the voice of the UK-based DAB radio station dedicated to playing country music, in a second cross-station pop up partnership, following the successful link-up between the BBC and Jazz FM for Radio 2's recent jazz pop-up. As is now custom, other BBC national stations will have amended bitrates and the DAB EPG will not be available to accomodate the temporary station. An earlier version of this article appeared 18/01/2017.